9 - Country Pavilions from Belgium, British Columbia, Canada High Commission, Korea and Poland, etc. AlwaysOn has officially kicked off its fifth annual GoingGreen Silicon Valley Top 200 Private Companies competition. 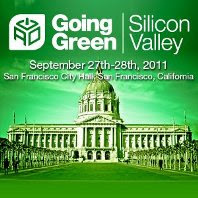 The winners of this competition will be officially announced in mid September and honored at GoingGreen Silicon Valley 2011, September 27th - 28th, 2011, at San Francisco City Hall. The companies that have been nominated to the 2011 AlwaysOn GoingGreen Silicon Valley 200 so far are listed below by category.